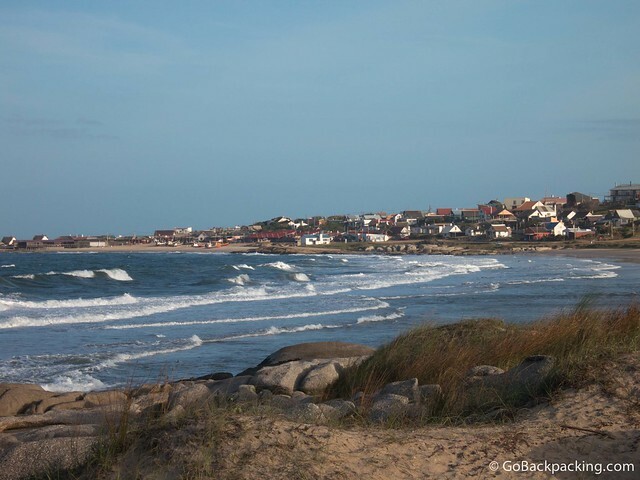 Punta del Diablo has its origins as a fishing village, and has since grown into a popular Summer resort town. Tourists, money, and developers are making their way up the coast from Punta del Este, which has spurred new development, and higher prices in Punta del Diablo. 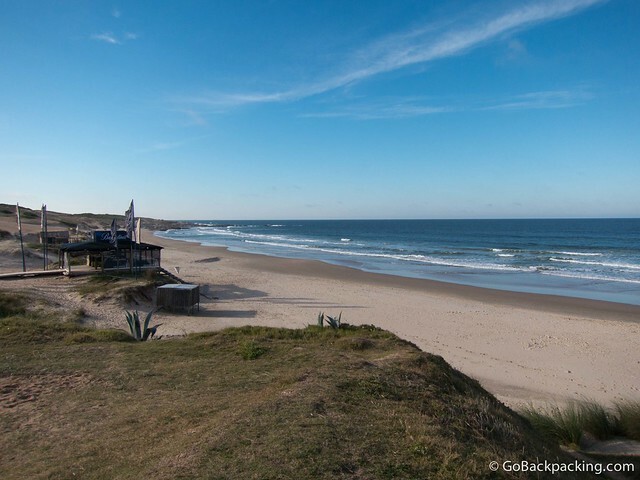 However, for those who feel Punta del Este is too big, and Cabo Polonio is too small, then Punta del Diablo strikes the perfect middle ground. The beach is nice, the surfing is good, and there's a wide range of modern, comfortable hostels within view of the ocean. The closest airport is Capitan Corbeta International Airport outside Punta del Este. Flights from Buenos Aires are under an hour, but it's cheaper to take the ferry to Montevideo, and then hop on a bus. Most visitors arrive in Punta del Diablo by bus. Punta del Diablo is served by several bus companies, including COT and Rutas del Sol. Buses leave regularly from Montevideo (5 hours) and Punta del Este (2.5 hours). If you're coming from Cabo Polonio, a one-way ticket from Castillos, with COT, costs 50 pesos ($2.50). 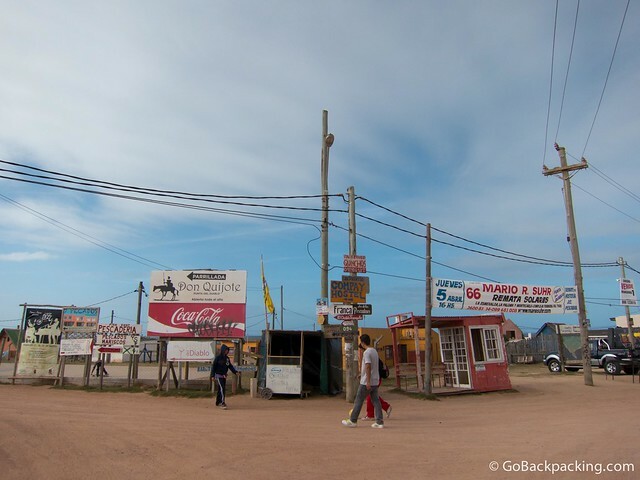 If you're coming down from Brazil, you can get a bus in the border town of Chuy. During the Summer months, you can also take SummerBus, a Hop-on Hop-off backpacker bus that serves 12 destinations along the coast, from Montevideo to Punta del Diablo. Tickets can be purchased for the whole route ($75) or for single trips, online or at your hostel. 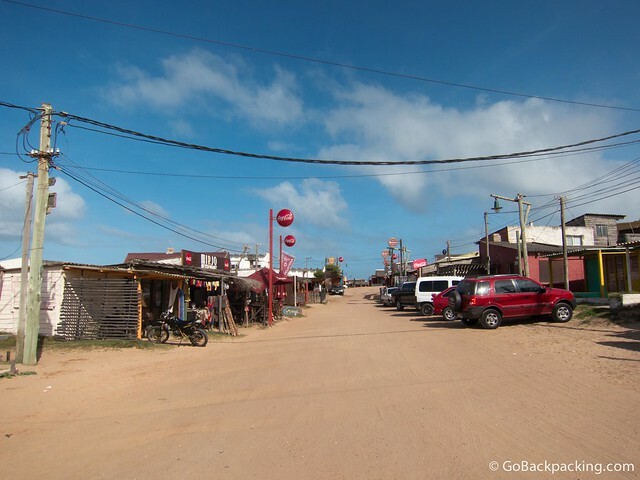 Walking is the easiest way to get around Punta del Diablo. The town is small enough that there's no need to rent a bike, unless you want to ride around in circles, or use it to visit Parque Nacional de Santa Teresa to the North. Bike rentals are a new thing in Punta del Diablo, having just started in 2012. The rate is $15 for three to four hours. If you're visiting in Summer, and especially in January, make reservations in advance to ensure a bed at your preferred hostel, or within your budget. Rates can be quite a bit higher in January then the rest of the year, and even then, you may not find a bed when you arrive. Outside of Summer, most of the hostels close down (as do most of the restaurants, bars and shops). Two of the most popular hostels, both of which stay open year-round, are listed below. Both are easy to find if you follow the signs posted at the spot where the bus drops you off. La Casa de las Boyas (Author's Pick) – Calle 5 (Las Corvinas), Playa del Rivero. Just 50-meters from the beach and a 5-minute walk from the city center, this hostel features a big deck with beautiful views. There are several rooms, including an 8-bed dorm for 300 pesos ($15)/night, and a 10-bed dorm for 400 pesos ($20)/night. The larger dorm is bigger, and more comfortable, with a balcony and kitchen, featuring: stove, fridge, microwave, and ocean views. WiFi is dependable. Breakfast is included. Bar during the Summer. El Diablo Tranquilo – Avenida Central S/N, Playa del Rivero. 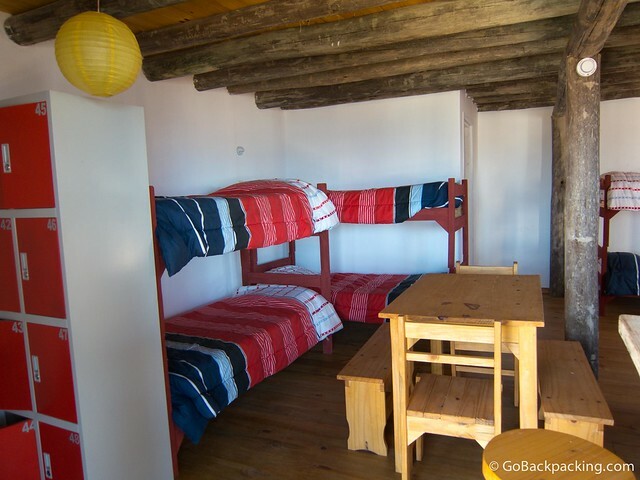 The other popular hostel in town features a greater variety of rooms to fit different budgets, although it is also a bit more expensive than La Casa de las Boyas. Slightly further from town than Boyas, it's also got a nicer view of the beach.WiFi. Breakfast included. Guest-only bar & restaurant during the Summer. Plenty of vacation homes are available for rent. In high season (January – February) it can cost as much as $150 – $170 per night. In low season, it's around $40 – $60 per night. Costs increase with your proximity to the beach, and the amount of amenities (such as air conditioning) you desire. Start your search at PortaldelDiablo.com. It'll be a lot easier if you speak Spanish, or can find someone to help you. Playa del Rivero (Author's Pick) lies North of town and is good for surfing and lounging. Also, it's a quick walk from the most popular hostels. Playa de los Pescadores is a small beach in the center of town, which is good if you're looking for photos of fishing boats. Playa de la Viruda is longer than the other two, offers the opportunity for kiteboarding, and lies South of town. Playa Grande is a long stretch of beach a short, 20-minute hike from the North end of Playa del Rivero. It lies within the Parque Nacional de Santa Teresa. Horseback Riding – $40 for four hours. Kiteboarding – Lessons are $15 for two hours. Parque Nacional de Santa Teresa – This national park is located North of town. If you like hiking, you can walk along the sandy path at the North end of Playa del Rivero, and keep going until you see a sign that points you toward a park road. Other options include bicycling, or taking a local bus to the park entrance. Admission is 10 pesos ($0.50). Surfing – Lessons are $15 for a private, two hour lesson. 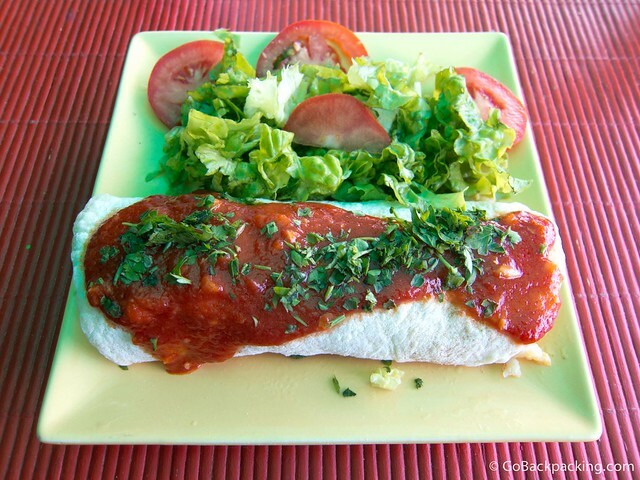 During the Summer, you'll have plenty of small restaurant options to choose from. Outside of December to March, your choices will be whittled down to about 5-7 restaurants in the center of town. Some will only be open on the weekends, further narrowing your options Monday – Wednesday. A small cheeseburger with fries and a bottle of water will run you $10. Typical seafood, pasta, or meat dishes start at $15, with the most enticing options pushing past $20 per plate. A grocery store and a few small convenience stores are open year-round, and offer the basics should you want to cook for yourself. 70 (“Setenta”) – Avenida de Pescadores. An Italian family started this restaurant in 2011. Excellent food prepared fresh, and good prices. During the low season, it's only open during the weekends. 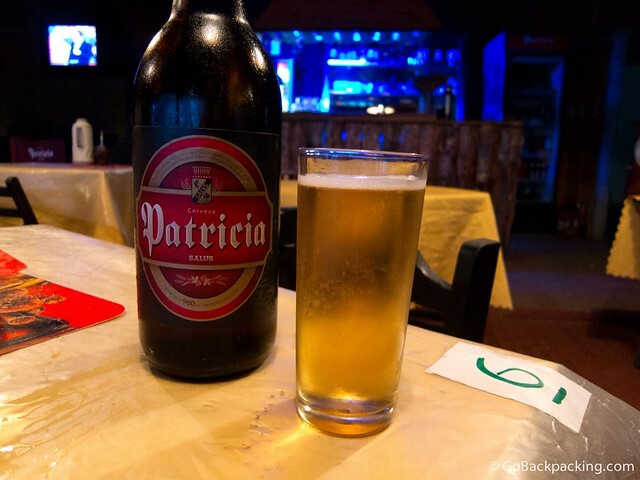 Franca – Calle #20 Esquina #7. Sushi and seafood restaurant. Beautiful ocean view, with WiFi. Prices are a little higher than other places, but it's recommended. 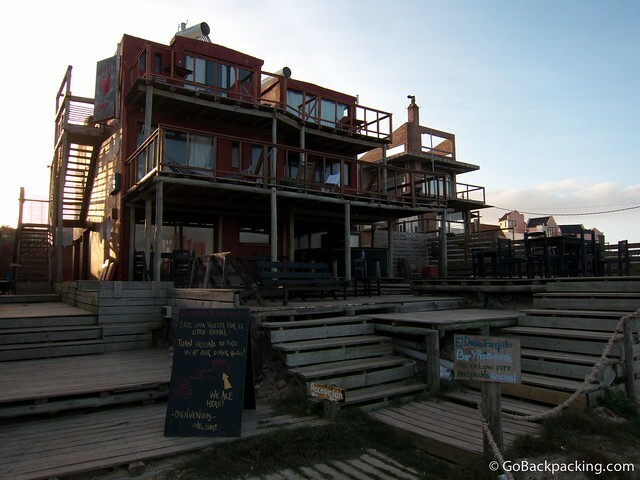 When it comes to nightlife, Punta del Diablo is typical of beach towns the world over. Either get the party started yourself with friends and other travelers, or listen for the nearest beach bar to grab a drink and watch the sun go down. During the Summer, with the influx of Uruguayans, and young Argentinians and Brazilians, it can get crazy. The rest of the year, it's a super chill place. The bar scene changes from season to season, so ask around once you arrive to find the best spots for a beer or cocktail. Or if you have a few days, the town is so small it won't be hard to find them on your own. Plaza de Comidas – A small wooden boardwalk by the Avenida de Pescadores and rocky peninsula in the center of town. There are a few bars here, which always attract a regular crowd in the evenings.